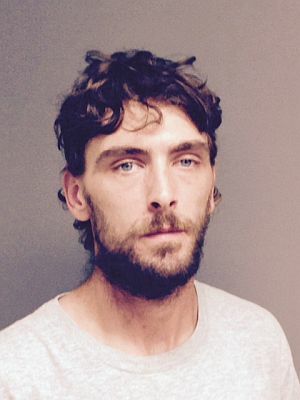 A Wells River VT man was arrested on various heroin charges after VT State Police stopped him for a speeding on I-91 in Weathersfield. Police asked for search warrant on Jeremy Fifield’s 1997 Honda after police discovered numerous items of heroin use inside the vehicle. After obtaining the search warrant, they found 174 bags of heroin in the glove box. Fifield was arrested and held on a $5,000 cash or surety bail at the Southern State Correction Facility. He is charged with possession of Heroin, Trafficking Heroin, and Transportation of Heroin into the State of Vermont. Multiple mailboxes were smashed and damaged on Friday night in Goshen, Croydon and Claremont. Goshen’s were reportedly between 9-10:30 pm. Anyone who might have seen or heard anything is asked to call his or her local police department. Federal law treats mailboxes as Federal property, thus destruction or vandalism of them is a federal offense. The Vermont State Police are investing the death of a 5-month-old Hartland VT boy. Police were contracted early Sunday morning by Gifford Hospital in Randolph about the untimely death of Wyatt Morrill. The infant was discovered unresponsive at Autumn Pearson and Randy Morrill’s residence in South Royalton, Vermont. South Royalton Rescue arrived at the home and began resuscitation efforts then transported the infant to Gifford Hospital. Police notified Wyatt’s parents Kristi Bonnell and Timothy Morrill of Hartland that their son was in route to the hospital. Infant Wyatt Morrill was pronounced dead just before 3:00 am. The Vermont State Police Bureau of Criminal Investigation responded to investigate the death. The infant’s death is still under investigation and pending results of an autopsy to by the Office of the Chief Medical Examiner. New London Town Offices Closed on Wed. The New London Town Offices will be closed on Wednesday, Sept 23, while work of applications of materials that may cause fumes is being done. To ensure the safety and comfort of all, the building will be closed for the day. We will reopen for regular hours on Thursday, September 24, 2015. NH Health and Human Services is warning residence to be aware of a Scam involving the Supplemental Nutrition Assistance Program SNAP. Unsolicited calls appear to be coming from a SNAP toll free hotline. The callers request personal information and offer assistance for filling out a SNAP application. Health and Human Services say never give out personal or credit card information over the phone to the unsolicited callers. This outside entity that has “spoofed” the SNAP toll free information hotline number is not affiliated with FNS (Food and Nutrition Service of the U.S. Department of Agriculture) or SNAP. If you suspect that you are receiving illegitimate calls from 1-800-221-5689, you may file a complaint with the Federal Communications Commission (FCC). If you have already fallen victim to this or a similar scam, please visit http://www.ftc.gov/bcp/edu/microsites/idtheft/ for more information on identity theft.